Selectors gain most of their knowledge on the job, which might provide some small comfort to those librarians who find themselves plunged into the world of business, perhaps even unexpectedly. 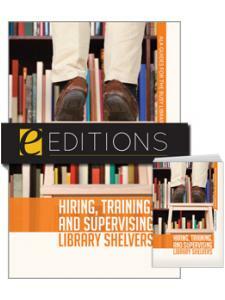 The purpose of this book is to help the sudden selector through the first few months of a new position. It is a guide to becoming a competent selector of business resources and all that it entails: joining associations, finding mentors, monitoring electronic discussion lists, and of course, learning how to select materials for your collection.new business librarians with solid advice on learning user information needs, building a network of colleagues, becoming familiar with their collection, and getting equipped with effective selection tools. This "Sudden Selector" guide is part of a new series from the Collection Management and Development Section (CMDS) of the Association for Library Collections and Technical Services (ALCTS) division of the American Library Association. 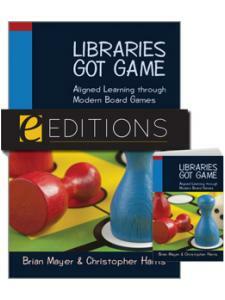 The series is designed to help library workers become acquainted with the tools, resources, people, and organizations that can help them develop collections in new or unfamiliar subject areas. Robin Bergart is a librarian at an academic library in Southern Ontario. Robin started her library career as a “sudden selector” in charge of the business collection at the University of Guelph. With no business education or experience in collection development of business resources, she sought out advice and expertise from more seasoned business librarians at nearby academic libraries—which is how Robin met Vivian. Prior to her appointment as Associate University Librarian at McMaster University, Vivian held the position of Business Librarian at McMaster‘s Innis Library (which serves the needs of the DeGroote School of Business). Before coming to McMaster, Vivian held several appointments in special libraries and research centers in the financial sector.